Are you ready to sparkle with CITY sparkling? Even bigger and better than the glow, now there’s glitter! 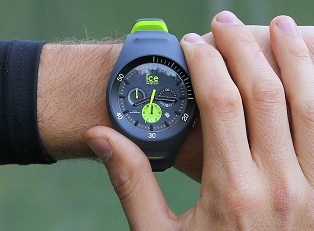 A fashion trend that the Ice-Watch brand has given 5 out of 5 (stars) and immediately put to use in its elegant CITY watch. During the festive season or at any other time, accessories - and even make up – will be opting for the metallic look. 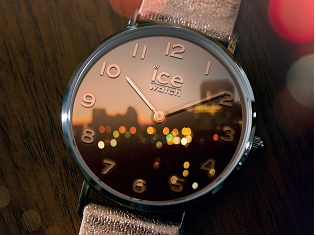 The most sophisticated watch of the Ice-Watch brand has embraced it with style to sparkle, shimmer and shine at all times. Mind your eyes: CITY sparkling is ready to dazzle you in two different ways. 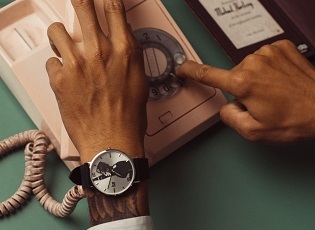 The beautiful dial can bide its time, playing it 'dark' or displaying a soft whiteness, and leave it up to the strap – made of silver, gold or pink gold metallised leather - to throw the sparks. This is what really sparkles, catches the eye and accompanies the indices, hands and logo on the dial’s matte dance floor! A different leather strap and the CITY sparkling remasters Saturday night fever: its disco alter ego appears in all-over sequined silver, gold or black. And, in order not to be left in the shadows, the dials are also metallised to match perfectly. 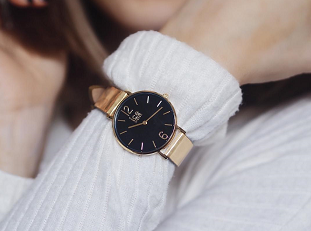 Already super trendy in S size (36 mm), the collection of 6 models is also ultra-fashionable in size XS (32 mm). They are sure to delight young fashionistas, fans of mini-watches and anyone who feels nostalgia for the era of jewellery watches! 12 products with a single aim: to dazzle and forge ahead in the light of a modern, classy, stylish watch. Wearing it is definitely a bold move and the best way to liven up an outfit for day or evening wear.